It is here! 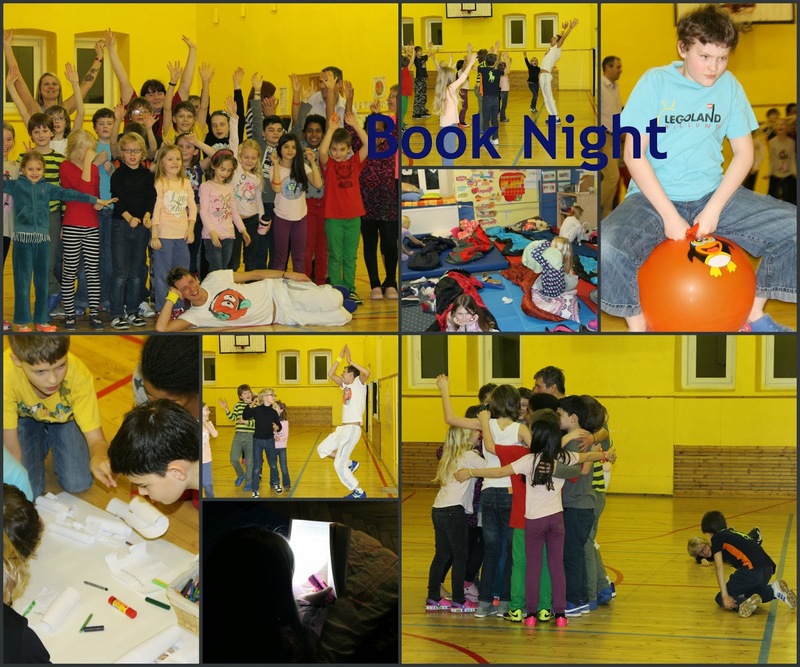 Started with an energizing, and ever popular Book Night, featuring many new and traditional events related to books reading and this year exercise. This year the annual book week "Healthy Mind in Healthy Body" is dedicated to sports, training, exercise, healthy lifestyle and Olympics. During the week through various events we will exercise our learning-reading muscles (brains), do exercise, play, create, and also learn about new and interesting things. In addition to the Book Week all time favourites like Book Night, Mother tongue readings, Teddy Bear picnic and Character parade we are introducing new events of Human library and Reading marathon fund raiser. We will host a book sale and visit Tallinn Central Library Foreign language department nearby to take a look at their collection of sport and health books and join in sport related activities e.g. book yoga, sport quiz and board games. We started a week of adventure, fantasy, learning and sharing our knowledge and experiences with each other through reading, listening and sharing great stories and books. The first story "Puff the Magic Dragon" was told by MSP Handbell choir and PYP Ensemble led by Ms. Karolina. It is a bitter-sweet story of imagination, great friendship and adventure in a childhood make-believe world. It is a story of getting older and taking one’s place in grown-up world. But it is also about remembering and sharing your memories and stories with your loved ones. This is what our Book Week is all about. I encourage you to keep living and sharing your life stories. Next our Director Ms. Naglee announced the theme of 2014 Book Week “Healthy mind in healthy body”. The year 2014 is dedicated to movement, exercise and sport in Estonia, Winter Olympics are currently held, and so is our Book week committed to sport, Olympics and healthy lifestyle. The second story to illustrate the theme of 2014 Book Week was told by Reception and Grade 1 students with their sporty song and dance number “We can can be sporty kids”. Book Week continued with a new Human Library event. Learn more whats happening by visiting ISE Annual Book Week webpage.